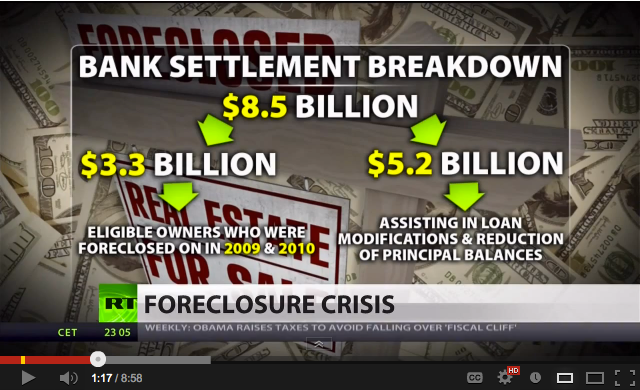 Banks to Pay $8.5 Billion in Foreclosure Settlement | The Law Office of Emil Fleysher, P.A. Banks to Pay $8.5 Billion in Foreclosure Settlement | The Law Office of Emil Fleysher, P.A. Ten banks are involved in an agreement brokered by the Federal Reserve and the Office of the Comptroller of the Currency resulting in $3.3 billion in direct payments to borrowers and $5.2 billion in other assistance such as loan modifications and forgiveness of deficiency judgements. Banks included in this settlement are Aurora, Bank of America, Citibank, JPMorgan Chase, MetLife Bank, PNC, Sovereign, SunTrust, U.S. Bank, and Wells Fargo. Unlike the $26 billion settlement from 2012, this current agreement includes 10 major national banks rather than only 5. This settlement is a direct result of the 2011 program known as the Independent Foreclosure Review. This program required 14 major banks to hire independent consultants to investigate alleged foreclosure abuses and compensate victims but the process is both expensive and time consuming. Out of the estimated 4.4 million cases eligible for review by the Independent Foreclosure Review, only 495,000 had applied as of December 31st. This current settlement eliminates the review process requirement for the 10 banks involved and will allow eligible borrowers to receive compensation more quickly and directly. The other 4 banks, Ally, OneWest, EverBank, and HSBC “remain in discussions”. The result of this settlement is that approximately 3.8 million borrowers whose homes were in foreclosure in 2009 and 2010 will receive cash compensation varying from a few hundred dollars to as much as $125,000. Additionally, struggling borrowers whose mortgage servicers are included in the settlement are eligible to benefit from the $5.2 billion non-cash portion through loan modifications.